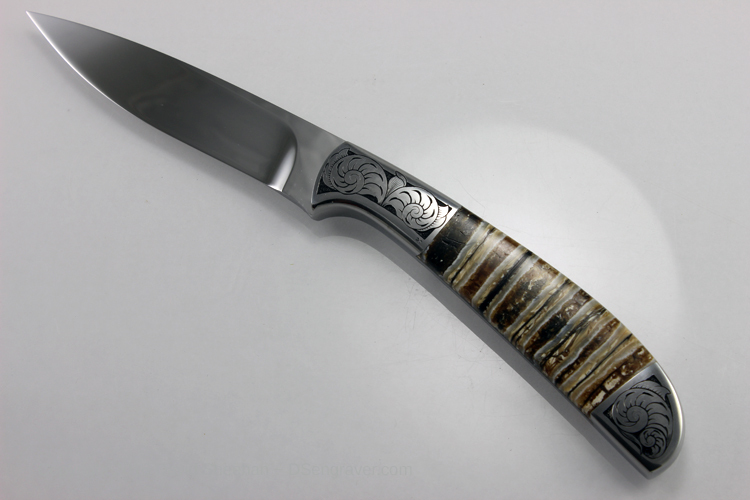 I had the pleasure of hand engraving 6 custom hunting knives made by world renowned knifemaker Russ Kommer for display at the 2016 Shot Show in Las Vegas, Nevada. 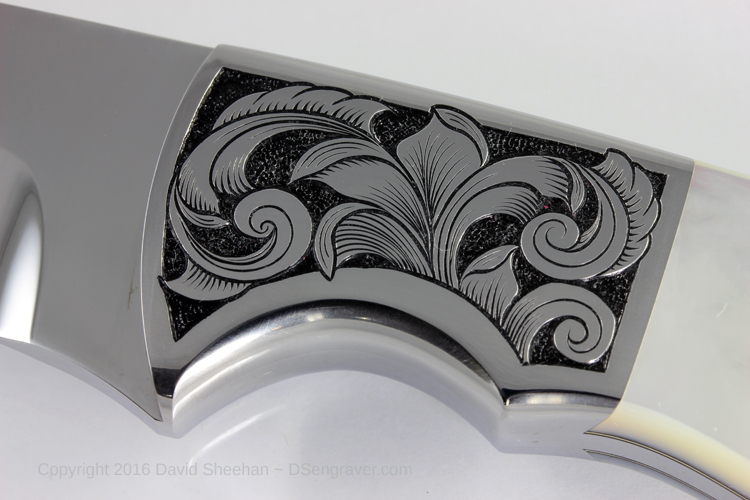 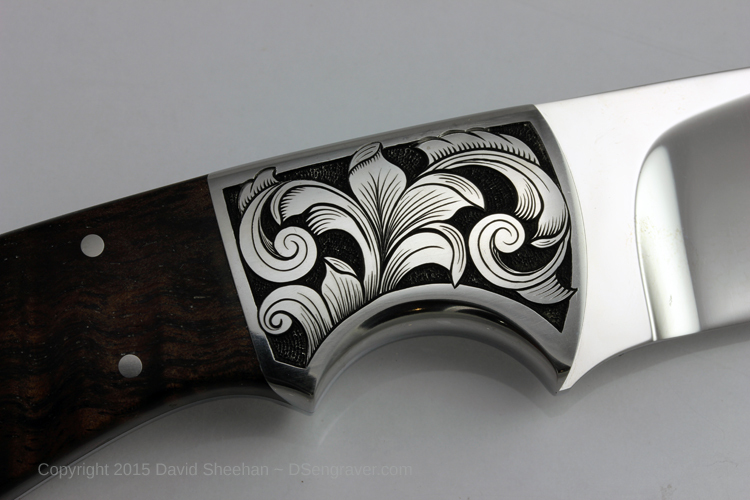 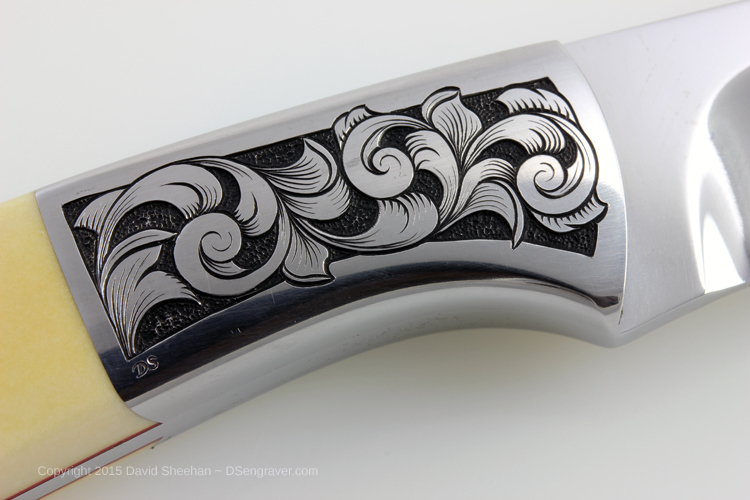 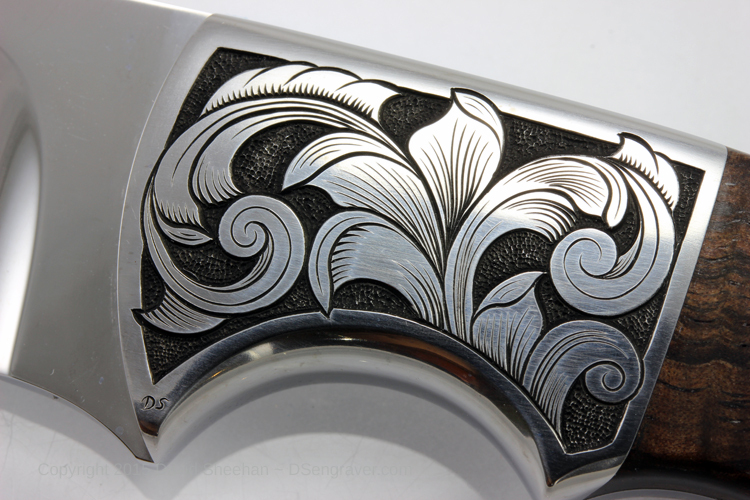 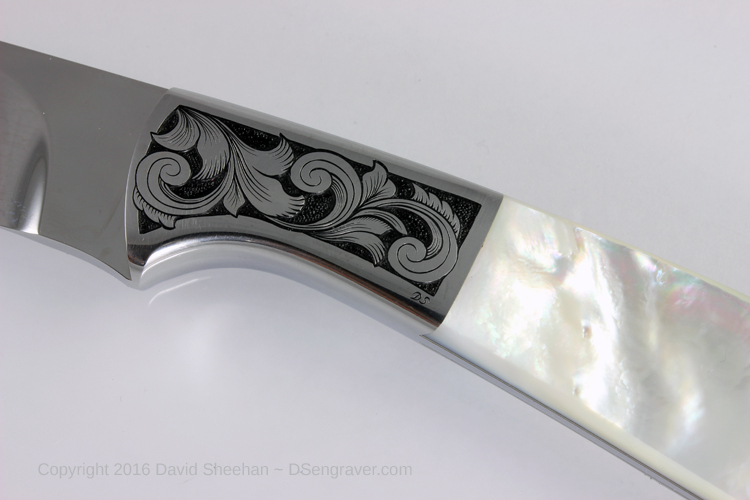 The stainless steel bolsters were all hand engraved with deep relief style engraving. 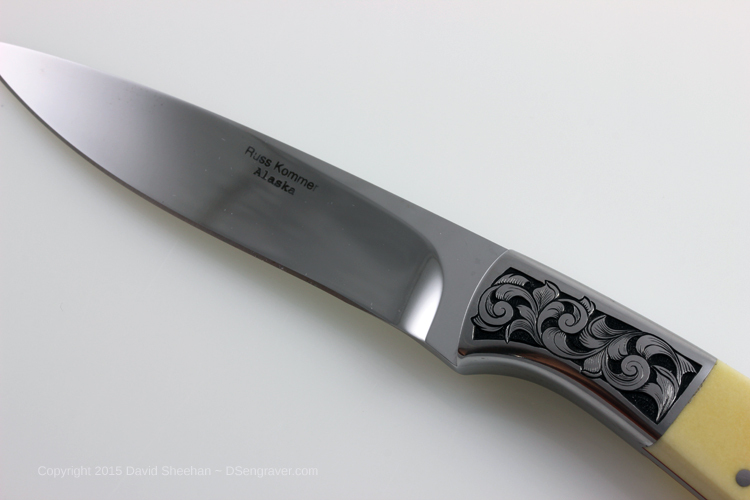 Russ likes bold, deep engraving on his knives so that his customers are not afraid to use them as well as display them. 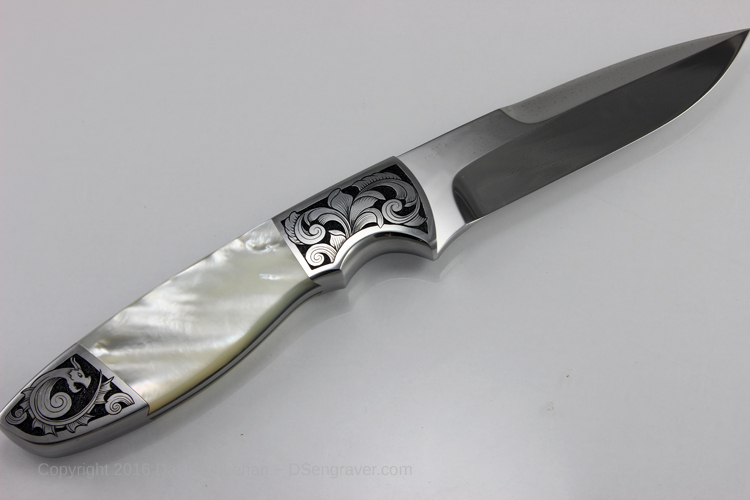 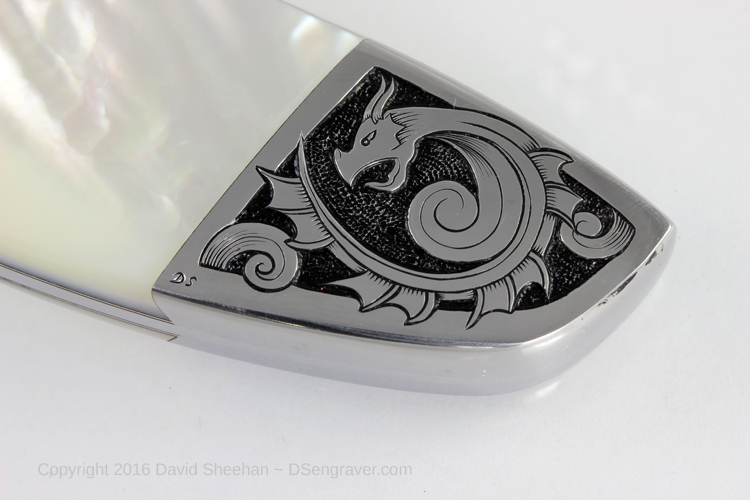 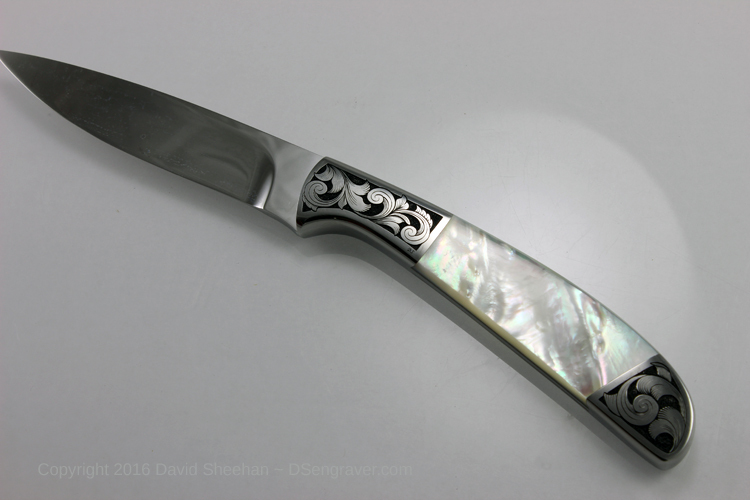 I used a variety of designs including a dragon on the pearl handled fighter! 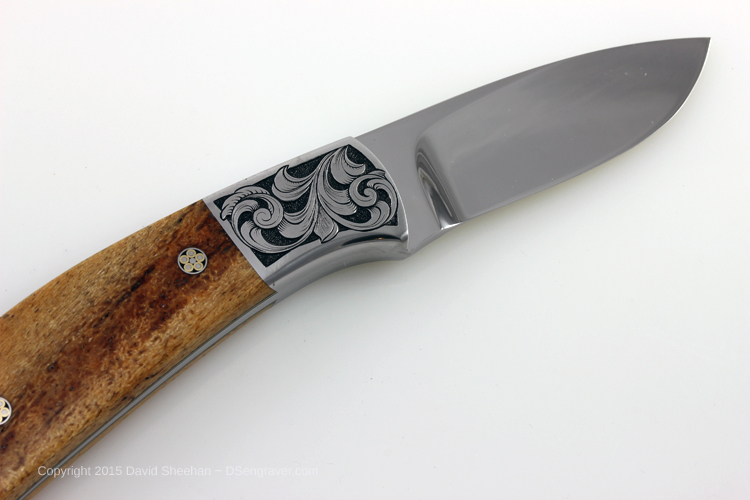 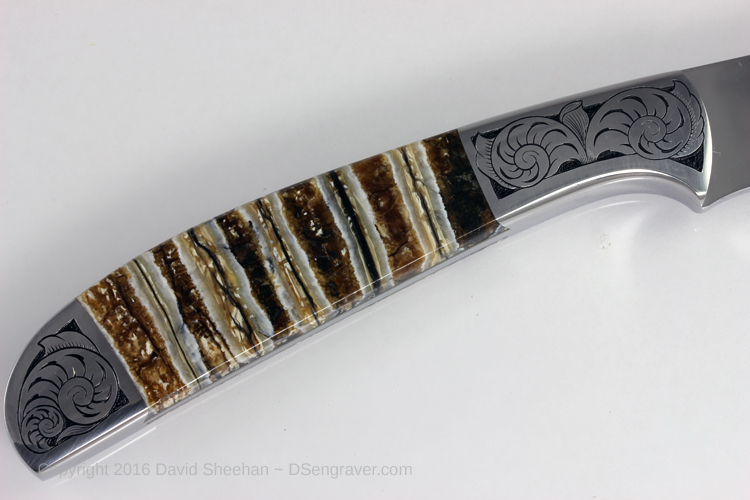 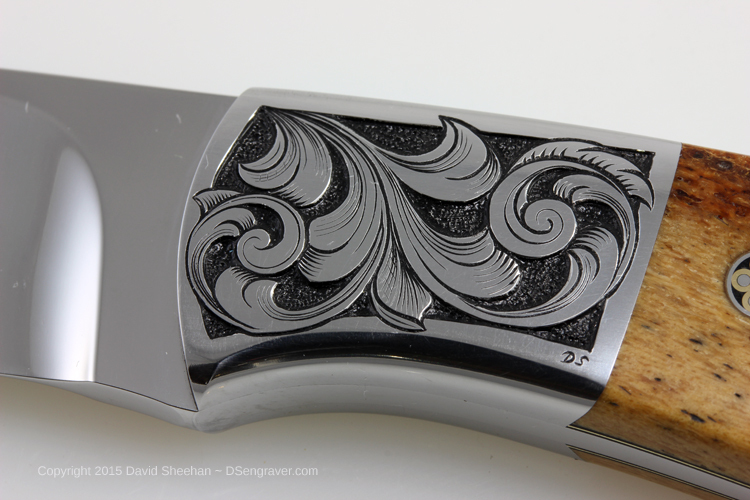 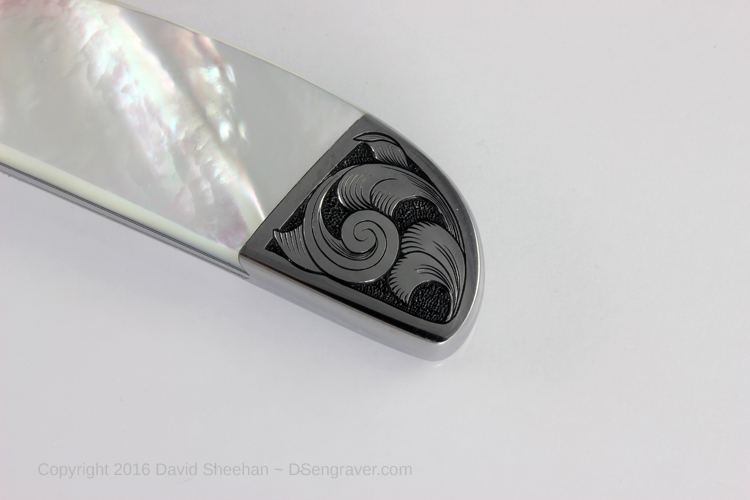 Hope you enjoy looking at these really cool knives as much as I enjoyed engraving them!